Our children loved this activity, and regularly review it as part of their math learning. It has been completed in class, at home, in Math Centres and during times when the children want to get creative. Our children love Fidget Spinners, and have hundreds of designs between them. 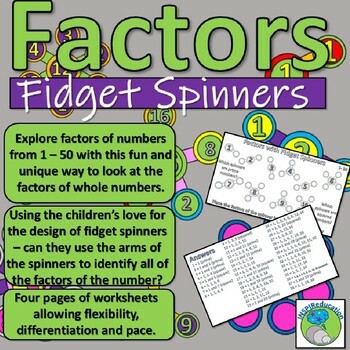 Following a discussion about the best kinds of fidget spinners, we put this love of the device into a tricky math objective - Factors within the whole numbers from 1 - 50. This resource includes all 50 numbers. 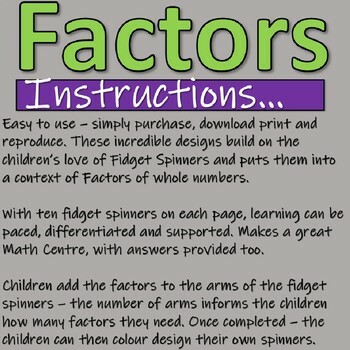 For each number, the children receive a specific Fidget Spinner design with the right number of arms for the number of factors it has. For example, the number 2, placed in the centre of the fidget spinner, has 2 factors, therefore the spinner has 2 arms. 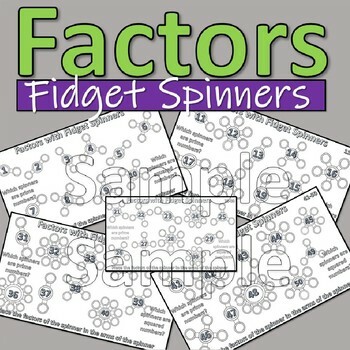 The preview shows all 50 spinners, with the maximum number of arms being 10. We created hundreds of designs, and whilst the outcome was very colourful - all of our children knew their factors of the numbers from 1 - 50. They were also to understand that if the spinner had an odd number of arms, it was a squared number - as one number was repeated twice. 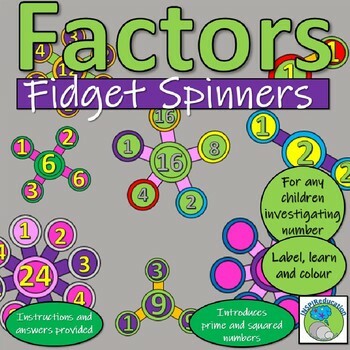 They also realised that if the spinner only had two arms, it was a prime number - they could clearly see that the factors were 1 and itself. We feel that this is one of our most exciting and "on trend" resources. Our children love it and we hope yours do too! Simply download, print, copy and you are good to go. This structure allows the teacher to stagger the learning, match the learning to the needs of the children, repeat specific pages again to reinforce or embed, as well as send elements home for home learning. Solutions have been provided to support teachers assessing the accuracy of the children's work. It can also be used by children to assess their own progress.